Treasured Alps, Threatened Alps is illustrated by Claire Scully of The Menagerie series, written by Jacopo Pasotti and published by Bergli Books, it is from my personal collection. This book has been created to highlight the plight of a number of endangered species of animals, plants and landmarks in the alps and a portion of the purchase price is donated to the World Wildlife Fund though sadly it doesn’t state how much from each book is donated. The book is expensive compared to most and therefore a considered purchase but I can honestly tell you that it’s worth the price. I’ve been umming and ahhing over purchasing it since it was published in November and I finally bit the bullet a few weeks ago and I truly love it. It’s absolutely huge at nearly 30cm square and it’s really thick due to the paper used. The book is paperback with flexible card covers with a beautiful wolf image on the front that is indicative of the content but not actually included inside the book. The spine is glue and string bound and very sturdy and durable, it’s a little tricky to get the book to lie flat due to it’s thickness but some careful pressure will help this. The 50 images of plants, animals and landscapes are all printed single-sided with information about each one on the opposite page written in English, German, French, and Italian. Each is numbered and named with a brief description of them, their habitat and the reason they’re endangered so you get to learn about each one as you colour it. The paper is bright white, thick and lightly textured, it’s really nice to colour on with pencils, water-based pens don’t bleed or shadow and I’ve even used watercolour paints with a sparing amount of water with great success as you can see in the photos below so you can use any medium you fancy, even alcohol markers if you put protective sheets behind your work and don’t mind bleed-through onto the proceeding page’s information. The image content is mostly animals but also contains 9 images of plants and 4 images of landscapes. These illustrations range from insects including various beetles and butterflies to small mammals and birds including the dormouse and kingfisher all the way up to much larger mammals including wolves and bears. There are recognisable animals that you’ll already know about as well as much less known animals, beautiful images of plants showing them like wildlife guides do or in situ as well as a few landscape images of specific areas that are under threat. None of the images in this book are duplicated in any others, although a few of the animals have been previously illustrated in other books (e.g. bear, wolf, owl), all of this artwork is original so even if you have all of Claire’s books like I do, you won’t be getting repeats! In terms of mental health, this book is great, it’s really absorbing and all of the images are nature-based which is inherently very calming. All of the illustrations are drawn in Claire’s beautiful signature style, this is very detailed and intricate but don’t be put off, you can always colour over the sections rather than within each one separately and this makes the images much easier to colour. The animals images are by far the most detailed, but the plant images are a fair bit less intricate with far fewer details so there is some range in these levels for your good and bad days. The line thickness is thin throughout, just like always with her art so you will need pretty good vision and fine motor control but not perfect if you’re happy to colour over sections. The artwork is all very natural and really beautiful to look at, even uncoloured it’s just stunning and I’ve spent more time than I care to admit just poring over the pages. The pictures are huge and can take ages to colour if you wish so you can really take your time over them; many have natural stopping points for those with concentration issues who like to finish sections but on the whole these images do require a fair bit of concentration and focus. They look equally amazing coloured in realistic or outlandish colour schemes so you don’t need to feel restricted just because they’re drawn quite realistically. Because the images are printed single-sided, you can really branch out with using mediums you might otherwise struggle to use in books, the paper is really good quality and can take a lot more than most and you can easily use mixed media too with some really great effects and to top it all off, you could carefully remove your finished pages and frame them to gift or display if you wish. The images are beautiful and they really do transport you to the alps, you can practically feel the chill in the air and hear the ringing of cow bells and if you want to fully immerse yourself and gorge on Swiss chocolate whilst colouring then I’d highly recommend that too, it’s all part of the experience! Overall, I would highly recommend this book, the artwork is beautiful, the cause is really important and best of all the production quality of the book is really high so although it’s expensive, you’re still getting a lot of book for your money and not once have I regretted the cost. If you like Claire’s work then this book is an absolute must-have! The image below was coloured with Faber-Castell Polychromos Pencils, Staedtler Triplus Fineliners, and the metallic areas were coloured with Kuretake Gansai Tambi “Starry Colors” metallic watercolour paints using very fine brushes for the honeycomb. Abenteuer Natur is published by Christophorus Verlag GMBH and illustrated by Richard Merritt who very kindly sent me a copy to review. You may not know his name but you’re sure to know his work because he’s one half of the incredible duo who illustrated The Menagerie, The Aviary, The Aquarium and The Labyrinth and he also solely illustrated another German published colouring book, Tierzauber (Animal magic), last year. He’s well-known for his stunning drawings of highly intricate, hyper detailed and patterned animals and these have been featured in the Art Therapy series of books which was where I first discovered his work. Abenteuer Natur translates as Adventurous Nature and the content really doesn’t disappoint with a wide range of exotic and unusual animals pictured inside. This book is 22.5cm square, a little smaller than the bestsellers, paperback, with thick card covers that are double-thickness and open out to reveal pairs of animal images at the front and back that are contained within the book. The covers are soft-feel and have gold foiling accents on both the front and back images. The spine is glue and stitch bound so it’s durable but a little tight, however this will ease up with use. The formatting inside is different from Tierzauber and this time the images are printed single-sided and all are perforated meaning they can easily be removed for colouring or framing but these perforations are quite subtle and therefore the pages will only come out if you remove them, not accidentally. The paper is bright white, medium thickness with a bit of tooth, you can get a few layers with pencils but it’s a little tricky to blend and shade, water-based pens do shadow but this isn’t a problem due to the pages being single-sided and you could use alcohol markers as long as you put some protection behind the page to avoid bleed through. The 27 images are of a huge range of exotic and unusual animals including Mandarin Ducks, Warthogs, Humpback Whales, a Bushbaby, Bison, Grasshopper and loads more. Everything is pictured from insects to sea creatures, land mammals to tree inhabitants, birds to reptiles and everything in between. So many things from the animal kingdom are pictured including lots of animals that aren’t often found in other colouring books. In terms of mental health, if you love animals, or at least love colouring them, then this book is sure to help! I have always found Richard’s illustrations wonderful for my own mental health because there are so many small sections to colour and really focus your mind on which is ideal when I’m very anxious and need to get out of my head. The images are all filled with lots of patterns creating small sections that you can colour within or colour over and leave as texture behind your work so although this book is very intricate and detailed, it doesn’t have to be used in that way so it’s ideal for almost anyone, regardless of vision or fine motor control depending on how you wish to use it. The line thickness is consistent throughout and is medium/thin so again, it’s suitable for almost anyone but not those with particularly poor vision or dexterity. Unlike in The Menagerie series, there is no added colour so you’re free to add your own backgrounds and colour schemes to every image. While a number of the animals are featured in the Menagerie series, they are all drawn differently (see comparison photos below) so you won’t be getting any duplicates if you want copies of both. Images of nature and animals are fantastic for calming you down and these images are particularly good because there are so many sections to attend to. The size of the book means the pages are a bit more manageable which is great for those of you with poor concentration as these pages will take less time to colour than The Menagerie which is much larger. While these illustrations are all of realistic animals, the patterns within allow you to use natural or totally outlandish colour schemes as and how you wish and both will look equally fabulous! The images are really cohesive and great fun to colour and they would look amazing removed from the book and framed for a really funky office or a cutesy nursery. I would highly recommend this book to people who love colouring animals, to fans of Richard’s work and The Menagerie or Art Therapy series, and to anyone who likes intricate and detailed images. This is a beautiful book with fabulous and unusual imagery, even the inside and outside covers are colourable with alcohol markers so this book is a true example of a fully colourable colouring book. The image below was coloured using Stabilo Point 88 Fineliners, Stabilo 68 Fibre-tips and Staedtler Triplus Fineliners. 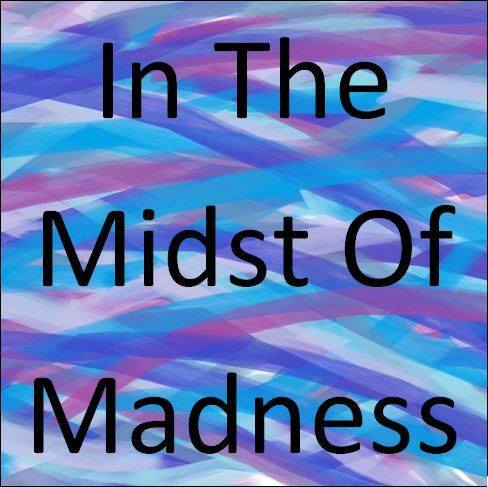 I recently created a dedicated Facebook Group for artwork by Richard Merritt, Claire Scully and all that found in the Art Therapy series, Menagerie series and those books illustrated singly by either of them. This group can be found here and I’d love you to join and share you work! The Labyrinth is published and was kindly sent to me to review by Michael O’Mara Books. This is the fourth book created in this series, all illustrated by Richard Merritt who this time has been joined by Sabine Reinhart. This book is exactly the same size and format as the predecessors (it’s non-perforated like The Aviary and The Aquarium) but in case you missed those here are the specs. The book is huge at 29cm square, it’s paperback and has beautiful teal and purple foiling on the cover. The pages are not perforated but they are easy to remove by cutting as close to the spine as possible so you can still frame them if you wish. There are 32 images, all printed single-sided and very little of the image enters the spine so hardly any of it is lost. The paper is bright white, fairly thick and lightly textured. My water-based pens didn’t bleed or shadow at all and there was no sideways bleeding so these images are ideal to be coloured with fineliners or fibre-tipped pens as well as coloured pencils, you could also use alcohol markers as long as you pop some protective sheets of paper behind your work. Each image is just like a portrait of a person but each one is of a mythical beasts instead, some are zoomed in a little, some are drawn side on and others are pictured front on, all are pictured individually. The images are beautifully drawn and very varied as Richard and Sabine’s art styles are quite different from each other, if you’re a fan of mythology and mythological beasts then you’re sure to love this book! This new instalment to the The Menagerie series is just gorgeous and a worthy sequel to The Aviary and The Aquarium, this series is really different from any other books I’ve seen in the way it’s presented and the content of the images and this title is no exception. Each picture has a bit of colour added to the background in the form of blue mountains, pink and purple thistles, lilac clouds, and yellow lightening bolts, but the creature itself is always colour-free ready for you to make your mark. These images would look stunning framed on their own or as a set and I’m already making grand plans for some of my favourites! I have put a photo below of the list of mythological beasts included but some of my personal favourites are the faun, gnome, jackalope, unicorn, and fairy, but that’s just to name a few. Unlike in the previous books where a few of the animals were naturally black which made it difficult to colour them realistically if you so chose, in this book none of the beasts are naturally black though I’m not sure what colour many of the creatures are “supposed” to be so it’s worth going all out with your colour schemes and get your brightest colours working! In terms of mental health, this book is fabulous! As seasoned readers of my reviews will know, I think natural images are best, very closely followed by fantasy-based images and you’ve got an abundance of those in this book so it’s a great one for getting lost in! I found it great fun to colour ready for review and this is sure to be one of my go-to books when I need energising or feel like my mood needs a boost. The images aren’t of real animals so you can really go to town with your colour schemes and there are really no wrong choices though there will be plenty of depictions of most of these creatures if you have a quick search online so you could copy someone else’s colour schemes if you wish or you can do what I did and just pick a colour and roll with it. There’s no right or wrong way of colouring this book and having seen other people’s finished versions of the previous books’ pictures online, I’m still not sure which I prefer out of realistic or outlandish and I’m intending to mix and match through my copy! The mythical beasts themselves are drawn with a varying line thickness which ranges from thin to medium but none of it is spindly thin which is ideal. The intricacy and detail levels also vary throughout but mostly these images are pretty intricate and are made up of lots of teeny tiny sections. However, you don’t have to colour in each section a different colour and could easily colour whole chunks and just use the black lines as texture behind that rather than guides for where you must colour within. A number of the images really lend themselves to beautifully blended pencils and I most certainly won’t be colouring within every section and will instead be using those to colour over. There are loads of possibilities with these images so this is one book that you don’t need to be put off from just because at first glance it looks too intricate. You will need a moderate level of fine motor control and good-ish vision but neither need to be perfect for you to be able to create a mythological masterpiece! These images will take ages to colour so they’re great for keeping you distracted from difficult thoughts and calming you down when your mind is racing and your anxiety is off the chart. The size of the images means that you’ve really got something to get your teeth into and you can just colour small sections on bad days when your concentration isn’t so great, or the whole image on days where you’re feeling more focused. I would highly recommend this book if you love mythology and mythological beasts and really like intricate, detailed books with plenty of different sections to colour. This is one of the nicest colouring books of mythological creatures that I’ve seen. The Labyrinth is a fantastic book for keeping you focused and distracted from mental illness and I found it really helpful for calming down my anxiety and slowing down my thoughts so I could focus again. I have recently created a fan group for artwork by Richard Merritt and Claire Scully (and now Sabine Reinhart too) which you can find here, please do join and share your finished pages from this and the other books in the series. I scoured the internet looking for places that sold frames that fit these images and found these ones on Amazon were perfect and are available in various colours to suit your image no matter how it’s coloured. The image below was coloured using Stabilo 68 Fibre-tips. Nordic Wilderness is illustrated by Claire Scully who co-illustrated The Menagerie, The Aviary, and The Aquarium, and is published and very kindly sent to me to review by Laurence King Publishing. This book was originally published in Germany under the title Nordische Wildnis, you can find my review of that edition here, I expected the UK publication to be identical but I couldn’t have been more wrong, despite the content being almost identical, almost all aspects of the publication are different including the image order, formatting, paper colour and book size to name a few, therefore I will first review the UK edition here and then go on to compare the UK and German editions so that you know which to purchase if you want just one, or whether to buy this UK copy if you already have a German copy so buckle up, this is a long one folks! Nordic Wilderness brings us exactly the content you’d expect, beautiful images of animals and scenery from the Nordic countries, it’s gorgeous, drawn in Claire’s signature intricate style and really lovely! The book is just under 25cm square, paperback with flexible grey card covers with images from inside the book and silver foiled text, the spine is a dark teal/blue colour and the inside covers are also this colour. The spine is glue and string-bound and fairly strong but also pliable so you can get the book to lie quite flat. The pages are mostly printed double-sided but the book contains 9 fold-out pages each containing a single-sided double-page spread which is a fantastic feature as the spine doesn’t get in the way of colouring the centre of these pages and they could also be carefully removed to frame if you wish. On the backs of the fold-out pages are a unique small motif so there are no truly blank pages in the book. The paper is thick, cream and lightly textured, I’ve tested it with pencils and these blend and layer nicely and I coloured my double-page spread with water-based pens which didn’t bleed or shadow at all; alcohol markers will bleed through so either keep these to the fold-out spreads or avoid using them in this book. The images are a mixture of single and double-page spreads and those that are most affected by the spine being down the centre have been printed on the 9 fold-out pages so you can finally colour the beaks of the two owls which disappeared into the spine in the German edition. The images are beautiful and so cohesive! The illustrations are all of things you’d expect to find in Nordic countries from polar bears to pine martens, various species of owl to wolves, whales to horses, and squirrels to salmon. There are also a number of beautiful scenic images of fjords, log cabins, lots of trees, underwater creatures and even a stunning double-page spread of the Northern Lights over some icebergs which I can’t wait to get blending pinks and greens on to really make the scene come to life. Some of the images are animals on their own, others have backgrounds or objects with them, some are shown in groups and there are also a few double-page spreads of collections of natural items including lots of mushrooms, pine needles and pine cones, palm fronds, feathers, snowflakes and leaves. There are no filler images in this book and each illustration has absolutely earned its place, Claire’s style is beautiful and her hyper-detailed drawings of nature are just perfect to be coloured with pencils or fineliners. A fantastic new feature of the UK edition is that it contains an image key at the front, annoyingly this isn’t printed in the same order as the images in the book but it’s easy enough to find the picture you’re wanting to colour and find out what type of bear or fish it is you’re embarking on colouring, this is ideal for those of us who like to colour things realistically as it really aids with searching for the right colour schemes! In terms of mental health, this book is wonderful, it’s absolutely jam-packed with nature imagery and so it’s really calming and grounding. It also offers wonderful escapism as it creates a real sense of place from the first page and truly does transport you to the Nordic countries where it’s cold and snowy and bears and furry creatures are everywhere. 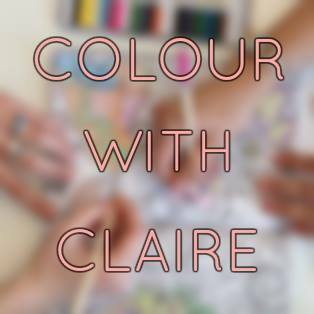 Claire’s illustration style is very realistic so it’s well suited to colourers who like to stick to realistic colour schemes but equally, her images look fabulous in neon colours, metallics, or rainbows for those with an adventurous streak! The line thickness is consistently thin throughout but it’s not particularly difficult to stay within the lines as long as you have moderate to good vision and fine motor control. The images are highly detailed and intricate (on a par with Millie Marotta’s and Johanna Basford’s books) and there are lots of tiny spaces making up each image whether it be hundreds of leaves, or blades of grass, or feathers, fur or scales, there is a huge amount of detail in these illustrations which makes them so beautiful and a joy to colour but this does mean it’s not so suitable for people who don’t have good vision or fine motor control. However, while the images are really intricate and detailed, most of this detail is drawn into much larger spaces including landscapes and animals so you could very easily colour over these details with pens or pencils so that the linework shows up as texture rather than having to colour each tiny section separately so there is scope for most ability levels to really enjoy this book. There are also a number of larger spaces in some of the images that will be really well suited to using your pencils for blending and shading to really bring the animals and landscapes to life. There aren’t any designs for you to finish drawing but there are natural spaces left in a few of the designs where you could add your own creatures, foliage, scenery and backgrounds, this is a happy compromise for those who can and can’t draw because there is space to draw if you want it, without any written hints. You will need a fair amount of concentration to really get the most out of this book as each image will take a good long while to colour but because of the subject matter you can always colour a few leaves or a flower to get your quick colouring fix on a bad day and tackle a whole image on days when you can cope with colouring for longer. I really can’t express how beautiful this book is or how amazing the production is. You’ll get absolutely lost in the Nordic Wilderness and if you like The Menagerie, you’re sure to love this book filled with Claire’s beautiful illustrations, the German edition made its way straight onto my list of favourites and this new formatting has possibly made me love it even more! I would highly recommend this book to anyone who loves colouring natural images of plants, animals and scenery, this book is beautiful and the added features of removable card pages, bookmarks and postcards is such a wonderful touch. The paper is great quality and If you love detail, intricacy and realistic images then this book will be perfect for you. German edition has covers that open out revealing a colourable design, the UK edition has blue coloured inside covers and no design to colour. The covers are totally different between the editions. The UK book is almost 2cms larger in both dimensions than the German edition. The paper colour is very different, it’s bright white in the German edition and cream in the UK edition, it seems to be equal thickness and similar texture, neither bleed with water-based pens but pencils blend and layer better on the UK edition. The UK edition has a key at the front of the book with a thumbnail of most of the images and a written description of what they depict, there is no key in the German edition. In the UK edition many of the double-page spreads are printed on fold-out pages, especially those most affected by the spine in the German edition. The German book has no fold-out pages. The German edition contains postcards and 4 perforated card pages with single-sided images to colour. The UK edition does contain the images of 3 of these but there are no postcards or perforated pages in it. The images are either the same size of a little larger in the UK edition due to the larger size of the book, this isn’t a huge difference but if you have slightly poorer vision or fine motor control then you’d be best getting the UK edition rather than the German. The image order is completely different in each edition. The UK book is missing about 3 single pages of artwork compared to the original German edition, these include the twigs next to the beaver page and the fox tail but I’m yet to discover the third page that hasn’t been included, it’s not an obvious one though. The whale is printed totally differently, in the German edition it’s a double-page spread showing just half of the whale, in the UK edition it’s a triple-page spread spanning a single page and a double-page fold-out and it shows the whale in its entirety so it’s printed a fair bit smaller in terms of the detail and intricacy. The cover image of the German edition is a colourable page in the UK edition with the title removed, in the German edition is has the title intact and is the title page of the book. The image below was coloured using Stabilo 68 Fibre-Tip Pens. The Aquarium is published and was kindly sent to me to review by Michael O’Mara Books. This is the third book created by the super talented illustrators Richard Merritt and Claire Scully, known for The Menagerie and The Aviary. This book is exactly the same size and format as the predecessors (it’s non-perforated like The Aviary) but in case you missed those here are the specs. The book is huge at 29cm square, it’s paperback and has beautiful blue and magenta foiling on the cover. The pages are not perforated but they are easy to remove by cutting as close to the spine as possible so you can still frame them if you wish. There are 31 images, all printed single-sided and very little of the image enters the spine so hardly any of it is lost. The paper is bright white, fairly thick and lightly textured. My water-based pens barely shadowed and didn’t bleed through at all and there was no sideways bleeding so these images are ideal to be coloured with fineliners or fibre-tipped pens as well as coloured pencils, you could also use alcohol markers as long as you pop some protective sheets of paper behind your work. Each image is just like a portrait of a person but each one is of a fish or sea creature instead, some are zoomed in a little, some are drawn side on and others are pictured front on or even in pairs or shoals. The images are beautiful and if you are a fish or underwater creature fan then you’ll love this book! Michael O’Mara are incredibly proud of this new title and quite rightly so, it’s just gorgeous and a worthy sequel to The Menagerie and The Aviary, this series is really different from any other books I’ve seen in the way it’s presented and the content of the images, I think this might actually be my favourite so far because you can use such an array of bright colours. Each picture (except the walrus, clown fish and seal) has a bit of colour added to the background in the form of blue or purple bubbles, red seaweed, turquoise waves and lilac jellyfish silhouettes but the animal itself is always colour-free ready for you to make your mark. These images would look stunning framed on their own or as a set and I’m already making grand plans for some of my favourites! I have put a photo below of the list of sea creatures included but some of my personal favourites are the orcas, lined seahorses, chambered nautilus, and common octopus, but that’s just to name a few. Unlike in the previous books where a few of the animals were naturally black which made it difficult to colour them realistically if you so chose, in this book only the orcas and penguins are naturally black and as you can see from my finished page, I decided to go all out and use as many colours as possible to create rainbow orcas which I really wish were a real thing! In terms of mental health, this book is fabulous! As seasoned readers of my reviews will know, I think natural images and those of things in nature are by far the most relaxing to colour and animals are absolutely top of my list for that so this book is ideal! I found it really calming to colour ready for review and this is sure to be one of my go-to books when my anxiety peaks and I need to get control of it quickly. Because the images are of something real, you can either colour them realistically meaning you can have a quick google and find out exactly what pens and pencils to use to make it come alive and practice your blending and shading, or you can do what I did and really spice things up with your brightest pens and wildest colour schemes. There’s no right or wrong way of colouring this book and having seen other people’s finished versions of the pictures online, I’m still not sure which I prefer out of realistic or outlandish and I’m intending to mix and match through my copy! The sea creatures themselves are drawn with a varying line thickness which ranges from thin to medium but none of it is spindly thin which is ideal. The intricacy and detail levels also vary throughout but mostly these images are pretty intricate and are made up of lots of teeny tiny sections. However, because the images are of fish, you don’t have to colour in each section a different colour and could easily colour whole chunks and just use the black lines as texture behind that rather than guides for where you must colour within. A number of the images really lend themselves to beautifully blended pencils and I most certainly won’t be colouring within every section and will instead be using those to colour over and look like scales through my coloured pencil. There are loads of possibilities with these images so this is one book that you don’t need to be put off from just because at first glance it looks too intricate. You will need a moderate level of fine motor control and good-ish vision but neither need to be perfect for you to be able to create a scaly, tentacled masterpiece! These images will take ages to colour so they’re great for keeping you distracted from difficult thoughts and calming you down when your mind is racing and your anxiety is off the chart. The size of the images means that you’ve really got something to get your teeth into and you can just colour small sections on bad days when your concentration isn’t so great, or the whole image on days where you’re feeling more focused. I would highly recommend this book if you love sea creatures, like colouring natural things, or if you really like intricate, detailed books with plenty of different sections to colour. This is one of the nicest colouring books of fish and marine life that I’ve seen. The Aquarium is a fantastic book for keeping you focused and distracted from mental illness and I found it really helpful for calming down my anxiety and slowing down my thoughts so I could focus again. A Fourth book has also been announced called The Labyrinth which will be filled with mythical creatures and can be pre-ordered here but you’ve got a long wait as it doesn’t publish until May 2017! The image below was coloured using Stabilo Point 88 Fineliners and Stabilo 68 Fibre-tips. The Menagerie Postcards is illustrated by Claire Scully and Richard Merritt, and published and very kindly sent to me to review by LOM art, an imprint of Michael O’Mara Books. This book of postcards contains 20 scaled down illustrations from the hugely popular The Menagerie (reviewed by me here). The postcards are standard size and have a lay flat binding which makes them easy to remove when you wish but is sturdy enough to keep the postcards in place while you’re colouring and for if you wish to keep them as a complete book. The covers are made of thick card with black tape down the spine, the signature bear image is pictured on the front with bronze foiling. None of the image is lost into the spine and the whole thing is fully colourable. The back of each postcard has a dotted outline for a stamp and four address lines. Each of the 20 images has elements of the animal and in some cases the background foliage embellished with bronze foiling which really adds a touch of luxury to these postcards. The card itself is bright white and smooth, water-based pens colour brilliantly on this with no sideways bleeding, bleed through or shadowing. Unfortunately, pencils don’t colour well on this card because it’s just too smooth and there’s no tooth so they don’t layer or blend well and I found my normally vibrant colours looked very dull and flat. The images are printed single-sided and are a great selection from the original images from The Menagerie, most of the favourites are included from the bear to the fox, tiger to lion, elephant to rhino and even the llama! The only original image that I personally was disappointed isn’t included was the highland cow because I think that would have looked wonderful with bronze foiling but we can’t have it all! The images have been scaled down well and are of course much smaller but they’re definitely still colourable though you may need to change your technique for these smaller versions. In terms of mental health, this book is lovely, it’s really natural and there is so much detail that it really draws you in and focuses you on the here and now rather than your symptoms or thoughts. The line thickness is consistent throughout at spindly thin so there is no room for manoeuvre and you’ll easily colour over the lines so this is definitely a postcard set for those of you with very good vision and fine motor control. The intricacy and detail levels do vary from very detailed to extremely, super teeny tiny, microscopic detail that is a struggle to see, let alone colour. However, don’t despair, while you certainly won’t be able to colour within each teeny tiny section, you can easily colour over the smallest details and use them as texture underneath your colouring. Many of the images are fully colourable but around 50% of them do have areas that are filled with miniscule detail and while this didn’t interfere with my enjoyment of the postcards at all, it’s just something to be aware of, especially as pencils don’t work so well on this card. These illustrations are so detailed that you can’t help but practice mindfulness and focus intently on colouring each section carefully and neatly and this really helps you to get out of your head and away from difficult thoughts. While these images are small in size, they take a surprisingly long time to colour so you’re certainly getting value for money and you will need pretty good concentration and lighting to get the most out of these. As a side note, they would look beautiful framed either coloured or uncoloured, especially with the luxurious bronze foiling. I would highly recommend this postcard book to fans of The Menagerie who have very good vision and fine motor control. Pen lovers will find these postcards ideal but you’ll definitely need to stick to the finest of fineliners to stay within the lines and keep the images looking crisp. These postcards are beautiful and other than not being well suited to pencils, they’re pretty much perfect! The Aviary (Colouring Books) is published by Michael O’Mara Books. This book is from my personal collection. This is the second book created by the super talented illustrators Richard Merritt and Claire Scully, known for The Menagerie. This book is exactly the same size and format as The Menagerie but in case you missed that here are the specs. The book is huge at 29cm square, it’s paperback and has beautiful blue and silver foiling on the cover. The pages are perforated for easy removal meaning you can display them or gift them to others. There are 31 images, all printed single-sided and because the pages are perforated, the image doesn’t enter the spine so none of it is lost (do check your copy is actually perforated as my copy isn’t and has no signs of perforation either, this is a fault with mine but I doubt mine’s the only one that slipped through). The paper is bright white, fairly thick and lightly textured. My water-based pens heavily shadowed but didn’t bleed through at all and there was no sideways bleeding so these images are ideal to be coloured with fineliners or fibre-tipped pens as well as coloured pencils. Each image is just like a portrait of a person but each one is of a bird instead, some are zoomed in a little, some are sat diagonally facing the artist and others are pictured front on or even in pairs. The images are beautiful and if you like the Art Therapy series (reviewed by me here) also published by Michael O’Mara, and like me, longed for a book of just the bird images then this is the book for you. Michael O’Mara are incredibly proud of this new title and quite rightly so, it’s just gorgeous and a worthy sequel to The Menagerie, this series is really different from any other books I’ve seen in the way it’s presented and the content of the images. Each picture has a bit of colour added to the background in the form of brown branches, lilac flowers, green plants and orange leaves but the animal itself is always colour-free ready for you to make your mark. These images would look stunning framed on their own or as a set and I’m already making grand plans for some of my favourites! I have put a photo below of the list of birds included but some of my personal favourites are an Atlantic puffin, Indian peafowl, macaw, swallow-tailed hummingbird, mallard ducks, red-billed toucan, and the emperor penguin chick but that’s just to name a few. My only, very slight, gripe is that some of the birds are naturally black (raven), or white (albatross), or both (penguin) and this means that you either have to pretty much leave them as they are if you want them to look realistic, or go all out with your outlandish colour schemes (see my toucan below) in order to be able to colour them. It’s not a problem and you’re certainly getting a lot of other images which you could colour very realistically (or break out your neons and rainbow pens like I did) I just think it’s a slight shame. Other than that though the book is perfect! In terms of mental health, this book is fabulous! As seasoned readers of my reviews will know, I think natural images and those of things in nature are by far the most relaxing to colour and animals are absolutely top of my list for that so this book is ideal! I found it really calming to colour ready for review and this is sure to be one of my go-to books when my anxiety peaks and I need to get control of it quickly. Because the images are of something real, you can either colour them realistically meaning you can have a quick google and find out exactly what pens and pencils to use to make it come alive and practice your blending and shading, or you can do what I did and really spice things up with your brightest pens and wildest colour schemes. There’s no right or wrong way of colouring this book and having seen other people’s finished versions of the pictures online, I’m still not sure which I prefer out of realistic or outlandish and I’m intending to mix and match through my copy! The birds themselves are drawn with a varying line thickness which ranges from thin to medium but none of it is spindly thin which is ideal. The intricacy and detail levels also vary throughout but mostly these images are pretty intricate and are made up of lots of teeny tiny sections. However, because the images are of birds, you don’t have to colour in each section a different colour and could easily colour whole chunks and just use the black lines as texture behind that rather than guides for where you must colour within. The flamingo in particular I think lends itself to beautifully blended pencils and I most certainly won’t be colouring within every section and will instead be using those to colour over and look like feathers through my coloured pencil. There are loads of possibilities with these images so this is one book that you don’t need to be put off from just because at first glance it looks too intricate. You will need a moderate level of fine motor control and good-ish vision but neither need to be perfect for you to be able to create a feathered masterpiece! These images will take ages to colour so they’re great for keeping you distracted from difficult thoughts and calming you down when your mind is racing and your anxiety is off the chart. The size of the images means that you’ve really got something to get your teeth into and you can just colour small sections on bad days when your concentration isn’t so great, or the whole image on days where you’re feeling more focused. I would highly recommend this book if you love birds, like colouring natural things, or if you really like intricate, detailed books with plenty of different sections to colour. This is one of the nicest colouring books of birds I’ve seen. The Aviary is a fantastic book for keeping you focused and distracted from mental illness and I found it really helpful for calming down my anxiety and slowing down my thoughts so I could focus again. This is a perfect book for bird-lovers. Scroll down to below the links for loads of photos of inside. You can read my review of The Menagerie here, or purchase it below.